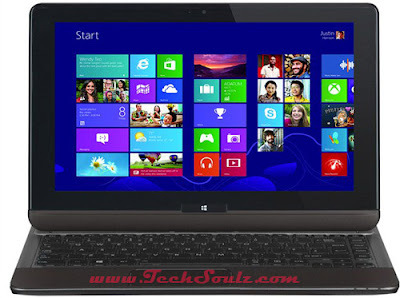 The 12-inch Toshiba Portege U920t was one of the first convertible Ultrabooks introduced at the launch of Windows 8 late last year. 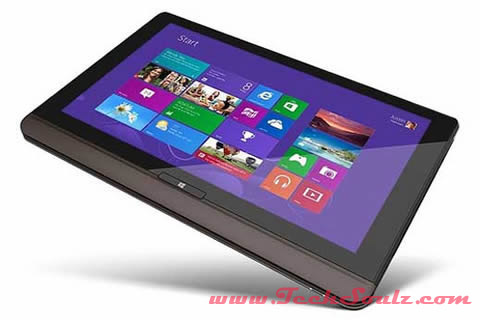 Like the Sony Duo 11, it boasts a sliding form factor, and starts off as a tablet before it opens up to become a full-fledged Ultrabook. Toshiba utilizes a different kind of sliding mechanism for the U920t, with three rails at the back of the display with a stabilizing bar in between them. And instead of sitting at a fixed display angle like the Duo 11, the U920t’s display can be laid out in any angle that’s comfortable for the user. On the other hand, the display tends to wobble, and moves slightly whenever the touch-enabled display is poked or swiped. One significant flaw with the rail design was a noticeable distortion in the display itself, right on top of where the middle rail is supposed to be. We’d very much like to say that’s where the U920t’s problems end, but there’s more. The overall build of the machine does not instill much confidence in its quality, with considerable flex throughout, most obviously on the keyboard. The individual chiclet-style keys are also pretty shallow and mushy; this seems to be a common element on many Toshiba laptops we have tested from the Satellite lineup. It also certainly does not help that the U920t feels like it’s made of plastic, rather than the aluminum it claims to be. The only time when it feels really nice and solid in your hands is when it’s in the tablet form factor. Even then, it faces the same issues with weight and bulk as the Duo 11, thanks to its larger 12.5-inch display and 1.45kg weight. This is one tablet you’ll find really hard to use one handed. Whichever position you choose to use the U920t, its biggest shortcoming is the 1366 x 768 pixel resolution display, a far cry from the much higher resolution offered by every other laptop compared here. This is a screen resolution we typically see on budget and mainstream laptops, so to see it on the U920t at its price point is a little jarring, to say the least.